Amazon Echo will Change your Classroom! You're reading a text aloud to your students. You've previewed the text before the lesson. You're familiar with the story. You're on a roll. And then, a seemingly insignificant detail about a country mentioned in the text derails your momentum. A student raises her hand, "what is the capital of Indonesia?" You have two options - you can either stop the lesson, go to your computer and look it up, or you can suggest that students look it up later. "Alexa, what is the capital of Indonesia?" "The capital city of Indonesia is Jakarta." *this post contains affiliate links. If you purchase products from these links, I might make a small commission* It took five seconds. Students learned what the capital city of Indonesia was (and so did you! ), and you were able to return to the text almost immediately. There have been so many times in my classroom where I have asked Alexa questions - because I don't know everything! In fact, one of my favorite ways to connect with my students is to say "I don't know, let's ask Alexa!" It lets my students know that I'm human and I don't have all of the answers. One time, we were editing a paragraph (I use Every Day Edits from Education World for daily editing activities!) about Elvis Presley, and my students had no idea who he was! (can you imagine?!) So I explained that he was a musician and asked Alexa to play some Elvis music. The incorporation of audio enhanced the lesson so much, and my students learned that they like Elvis. I am also terrible at spelling. I know, I know, an English teacher who can't spell - are you kidding me? Yep. That's me. Does "commit" have 2 M's or 1? I don't know. I probably spelled it wrong just now and later will have to fix it when I do spell check on this post... I continuously find myself in this quandary - no problem! I just ask Alexa. Again, it's good for my students to see that I don't know everything. Mrs. Simpson is terrible at spelling, too! I often set timers using Alexa to time activities - and my favorite feature is that I can set a timer and have a specific song play instead of a horrible timer or alarm sound! My students get a kick out of this. Alexa also makes it easy to order products - out of paper? Pencils? Dry erase markers? Just tell Alexa and it will be ordered. If you are a prime member, these items will arrive at your door in 2 (or less!) days. I realize that this post sounds like a giant Amazon ad - but I genuinely adore my Alexa and putting one in my classroom was one of my better ideas. In my house we have an Echo Dot in every room of the house except for the master bedroom where we have the Echo Spot. I decided to add an Echo to my classroom last year, and it has made a huge difference in how we obtain information on the fly! 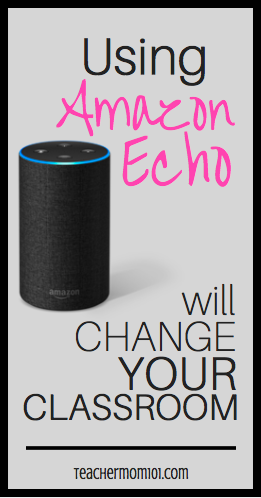 If you use my affiliate link to purchase an Amazon Echo, you will receive $20 off of your purchase of a certified refurbished Echo! This makes the Echo $109.99! This deal expires on July 1, 2018 - so hurry! 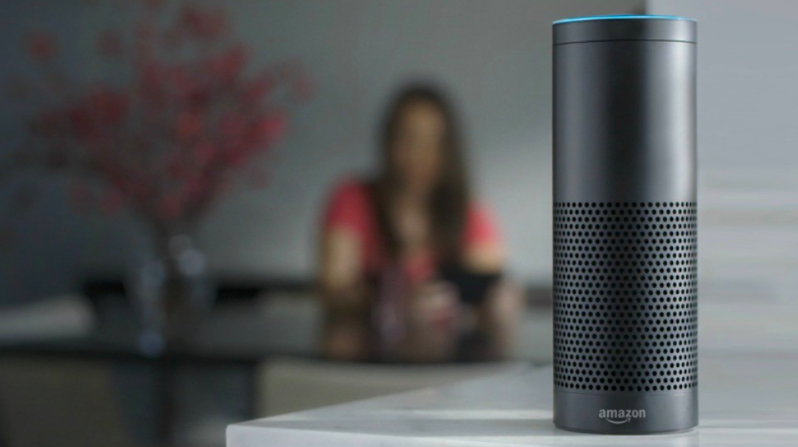 I've thought about using my Alexa in the classroom, but worry about what an 8th grader might ask when I'm out of the room between classes (hall duty) or something. How do you make sure that Alexa is used in school appropriate ways by pre-teens who may be trying to be class clown? I just refer to my classroom PBS plan. I wrote a post about it. If a student takes advantage of the Echo, then they lose their point for the day, period. No exceptions. I haven't had a lot of issues with students taking advantage, but I consistently follow my PBS plan so that makes a huge difference in the boundaries that students are willing to push. Your Alexa syncs to your phone via the Alexa app. Everything asked can be seen there. So, you can monitor it that way. This is true, and it's a feature that I love! I thought of this and hoped to use it last school year but, can't get around our system's enterprise network set up. Thoughts? I had the same problem! You need to talk to your school's network administrator or IT person, they should be able to help you get it set up properly.